Aire's 156D series rafts are agile, versatile boats that can accommodate a paddle team-run down the local river or enough gear for an expedition. 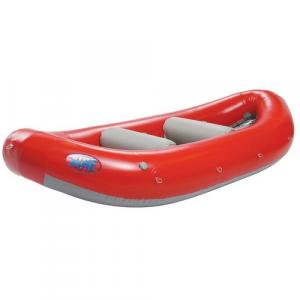 Diminished tubes in the stern and bow give you more cargo room than other boats in the same size range. 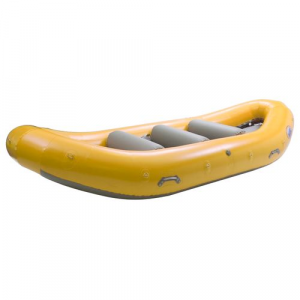 The 156D also makes a great fishing boat when equipped with an NRS Fishing Raft Frame. AIRE raft tubes and floors are equipped with bombproof PVC-coated material that's thicker than other brands for superior durability. Internal urethane AIREcells provide an extra measure of strength, durability and safety. 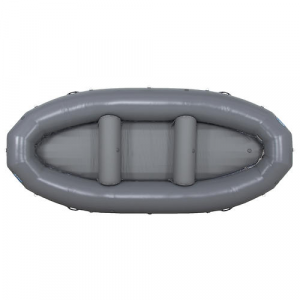 The piano hinge style of floor lacing, found in all AIRE rafts, provides quick self-bailing and a plethora of options for getting just the right placement of the thwarts. Repair kit included.